We’re always looking to add value to job seekers and employers that we work with all the time. Today’s podcast is a really interesting topic I think. I think it’s very relevant and I think a lot of job seekers really feel this, which is why we’re doing it as your top staffing agency Tulsa. Um, but it’s, it’s titled It’s off of a new report that just came out talking about how terrible that the, the candidate experience is with fortune 500 companies. And so we’re going to be talking through this and, and going going on about this. This is going to be a two part series and the second part series is going to be seven ways that we’ve come up with to make yourself stand out and get hired at a fortune 500 company despite some of the big dark black hole, um, feelings that people have when they send the resume cause they don’t really know where it’s going to go. Um, if this kind of content is helpful for you or if you know of someone that this would be helpful for, please share this information. Anyone can go to our website@trinityemployment.com and they can go to the career center and, and view all of the podcasts we have. We have over 30 now, which I’m really proud of and we’re going to start promoting this on Facebook. So if you happen to see it on Facebook, please share this information with your, uh, with friends that you think might benefit from this. Um, and so we’re going to go ahead and get into this and then really pay attention to the second piece of this cause I think that’s the value add, but we’re going to start going over some of this report and some of the statistics that are, that have been generated from, from this report. So Ethan, kick us off, man. Sure. So we’ve got stats from a company called phenomenal people. Phnom as in short for phenomenal, phenomenal people. Um, from their 2018 state of talent relationship marketing report, they say that only 2% of companies are communicating the status. I mean, Canada’s application throughout the entire duration of the hiring process. Only 2% are communicating well with their candidates where they stand. I think that if we were to say, all right, everybody raise your hand if you’ve experienced this. I think Hans, whoever’s going to be saying this, I remember this Ethan, even before, um, you know, just the big internet frenzy, you know, you’re making fun of me in the last podcast. You were like, you mean they had Internet when you were in college or, I see, I didn’t know it was around in the 50s, but you know, it’s, anyway, I’m really, really in the last probably, uh, probably five or 10 years. Um, you’ve had a big shift in recruiting going to an online basis. So remember not too long ago you would, you would post online, would be calling the newspaper and getting your ad not only in the newspaper, but also on their website. And they had such a web dominance that it would, it would really help to, to have that. I remember we used to do that all the time. Yeah. When, when I was at Samson and hiring for them, that was how we did it was the best. It was the best thing that we could do. Then monster comes in and CareerBuilder now they had a resume sharing service more than they did a job ad. But it morphed into that. And then we had indeed and zip recruiter and glass door and all of these powerhouses who have come in and made the application process so easy and simple that companies can’t, it’s very difficult to manage the volume of people that are coming in. But that doesn’t change the candidate experience. And in fact, one of the things that I’ve noticed that is going on is Google is beginning to change this with their version of an employment site called Google jobs. And if you type any kind of job in into Google, you’re going to see the top three, uh, mentioned of suggestions for those, for those jobs will, one of the things that they’re making employers do, the only way that you can get put up into those top three jobs is to have, um, is to have, is to follow their system. And I know their system, they want you to have the address. They want you to have salary information. They want you to have what’s what makes that company’s culture great. All of these things that candidates have been, it’s really been hidden. They’re now getting there. They’re requiring employers to put this stuff up. And so it’s going to get interesting to see what the next wave of, staffing agency Tulsa, you know, ways to apply are going to turn into. Yeah. And people want that info. That’s why Google is having that, you know, such a requirement for their algorithm. But people want that info. And that same study we were just talking about by finance people says the nearly six out of 10 people right around 59% of companies, pardon me, of companies do not include content. I’ll why candidates would want to work for them. Not many people do it. And yet at the same time, um, that’s a, that’s a super common question when I interview people, people say, what’s the company like? You know, what’s a day in the life? You know that company like it. Cause you’re going to spend more time at work than you will at home with your own family. You know? And that’s so important. And yet people aren’t getting that in the job ads that they have now. You know, it’s kind of interesting to me because you’re right, like people don’t advertise that. And if you’re going to go after, we’ve talked about recruiting, oh a lot before, but if you’re going to go recruit you better now, if you’re going to get top talent, you better say what, what makes your company great man? We have an entire first part of our website that tries to talk about what we do outside of hiring. But that’s one of the ways that you can bring people in. I mean to recruit people anymore. You’ve got to have a really cool quote, quote office space. You know, there’s all sorts of new things that you have to do to be competitive and with people moving at rapid speeds, um, you got to do everything you can to keep them. So I’m actually surprised that that is the case. But now that I think about it, that’s as true man. I mean are a lot of our clients, they don’t have an audit. 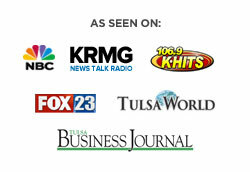 We have to really figure out, as a staffing agency Tulsa, what it is cause it’s not on their website. It’s not communicated very well. Yeah. I’ve got to stay a quote unquote cool man. Gotta stay hip like the young kids, Corey. Oh you know all about that. Then Ethan, why don’t you teach the odyssey how to stay cool. Oh Man. You know another thing just stat wise about how the candidate experience is not really catered to, especially with these big fortune 500 companies. Another stat by that same study says only one out of three 30% of companies have an apply button that’s visible and an and accessible to candidates at all times. Um, which I mean, think about that. So I think if you’re on your, you know, if you’ve got someone who’s looking for a job and they’re on your website and they’re like, this seems like a great place, but for the life of them, they just can’t find an apply button. I’m like, you’re shooting yourself in the foot. Yeah. And you know, I’m so integrated into our website and getting it functional for employees and I’m sure ours is not as top as it can be, but I spend at least 20 minutes every week evaluating it and looking at it, we’d make changes all the time. But one of the things is that is going to happen. It’s already happened. I mean, it’s, it’s not going to happen. Like people are applying for jobs on their phones, not on a computer. And so when your website will look completely different on a phone than you will on your, on your, um, on your desktop. And sometimes, you know, it’ll be off on an, on an android device and it’ll look just fine on an apple device. You’ve got to make sure that it’s looking right and all, you know, everything’s right. Because what would be really easy is that the website come up, come up a little bit wrong on your phone and the apply button is just to the right and you’re very young and you miss an entire candidate all because that’s the, that’s the way that they decided to apply that day. And there’s no apply button. Yeah. Well I mean that’s true. You got to take that into because Androids, you know, terrible. And Apple’s just the, you know, the best. Obviously. Let me, let me ring you wordsmith moe lineal. Take that Ethan. Oh Man. He just loves it when you call him. Yeah, I do. But Corey has this garbage, not iPhone though. I like to give him a hard time about it. Um, but it’s true. And even actually if you think about it, I was just thinking, I saw this last weekend, a commercial for in d. Dot Com and really? Yeah, they, they’ve got commercials and it’s all about, um, like the one here was about, um, you know, someone who I was some kid actually now I’m talking about it. It was like some millennial kid who was on his phone and his parents are like, you know, what are you doing on your phone all the time? And it like showed, you know, you have an interview request and d.com changing lives. I was like, okay. That was kind of cheesy. But in every commercial I’ve seen of indeed so far, I’ve seen probably four or five different ones. All of them have been someone applying on their phone. Right. You know, every time I hear an indeed commercial, do you realize that I get more and more and more and if anybody out there has any, um, confusion on whether I liked this website or not, they have hosted over every employer in the entire nation. Oh, the reason they tripled their price. You are, they’re good, staffing agency Tulsa. They’re good for the employee. It keep applying through. Indeed. You know, if you feel that you’re getting job offers are getting interviews, I would say go anywhere else, but you’re encouraging our, our listeners to boycott a place that is potentially the top resource for jobs right now. Listen, they tripled their price angry. Are they true? And the reason they tripled the price was to pay for all of those ads. Yeah, they’re bad ads, man. Well, and not only that, were you, were you with, were you working on when they changed our system around? Were you working on that? No, I was barely working when you started. That sentence took you so long to spin it up there. I’ve just got zingers today. Do, sorry. Sorry. Sorry. All right, so should I you rent on indeed. I’ll end my rant on into whatever it was that you were talking about. I got to the apply button. That’s what we were talking about. Fly by making, making sure it’s always always visible, but really what we’re just getting down to is that, you know, these fortune 500 companies are not catering in any way, shape or form to the applicant. And that’s incredibly frustrating. I think it’s going to change, but until it does, until it does, it’s going to, it’s still gonna be there. Um, you had a couple of others that you want to talk about before we moved on. Um, I’m trying to see him now from through my papers. I mean we had some good stats just about, um, well one of them was fewer than one in five. 18% of companies have, they’ve got very limited or nonexistent quality of content, meaning videos or photos on the career site. That’s one thing I really enjoy about our website. We’ve got lots of pictures and videos about people on the job, companies that we represent around Tulsa, things like that. And we’re just a visual culture so people love seeing stuff like that, you know? And that goes down to social media as well, which we’ve gotten, we’re trying to make a little bit bigger on our end. Yeah. With, with other companies. I can tell you this, that because of Instagram, it started with Facebook and the different social media platforms that really run the way that people receive content in our country. Like, whether, whether you lock it or not, it’s there. I mean, I went on there to, um, update, we update all of our social media platforms. Okay. Um, you want to make fun of me for a second? You can, you can go ahead and tee off if you want. I’m going to get to to, all right, we’re going through Instagram cause I wanna make sure and optimize all of our company’s presence on Instagram. And I’m going to a class to make sure that we’re doing it this Friday. And I had no clue, no clue whatsoever. They’re looking and I’m having a Lexis show, you know, show me how Instagram works and you know, we have all these pages, but man, I’m just not an Instagram person. I don’t get it. And every photo on there was a professional photo or it was a picture of a baby or puppies or something to get people to click. And the reason I’m saying that is because that is what gets people’s attention now. And I don’t even think that there’s an age, um, group that it, that it’s, you know, for this age group only. I think it’s for all ages. Um, you know, I’ve been reading a book called contagious great book, by the way. I don’t remember. It’s an orange book, but it’s okay. Thanks a lot for pinning me on that. Trying to help you, you know, whatever it’s called, contagious. It’s orange if you go on to ames on the cap, but, but really it, it shows this, that if you, if you have pictures, you have videos, um, what grabs people’s attention. And it’s always the unusual, it’s always the strange but it, but it’s always the consistent for a website and staffing agency Tulsa. And this is something that is very, very true. A lot of companies have not spent a lot of time updating their web presence and the, you know, people just don’t, they don’t do anything anymore without going to your website first. And so that’s, that’s something very important for employers to think about when, when it comes to recruiting. Yeah. Yeah, that’s, that’s really true. And I think kind of the last ad that I had and that we were going to talk about just cause you and I talked about it, was only 12% of companies provide a job cart, quote unquote. So like if you’re shopping on Amazon, you know, you add things to your cart and you can go back and then check out at the end or remove things you don’t want. Um, as you’re perusing through a bunch of different jobs. But only 12% of companies have a job carts for candidates to save their job searches on their website. That’s a really good idea I think. I think it might be, we don’t have it, we don’t have it. You don’t have anything like that. But maybe it would stop people from applying for jobs at they’re just not qualified for maybe rethink about it. And before we get out of here, I want to, I want to mention this, this, we’ve been really, really dog and I’m fortunate 500 companies, we’re not meaning to do that. It’s, it’s a reality for all of us. I want to bring up to the point that we have a tough time with this. One of the things we are going to identify more with the fortune 500 companies on this because we can’t hardly handle the flood of resumes that you get. And what, what do you think the percentage of people who apply for your job are actually qualified for the job that you posted? Ethan? Like do you have or just off the top of your head? Like just give it, give people a ballpark. My guests is, I mean like on average a glass door always says there’s about 250 applicants per job. So if I’m going to say I have about 250 applicants, I’d say 75 of them, 50 50 to 75 of them are qualified for the jobs. So a very low percentage of are doing this and so, but Ethan still got to go through and read every single one of them. You know, we’ll, he’s going to get, I’m, I’m sure you’ve, you’ve gotten requests like, listen, I’ve sent your my resume. Why? Well, you just talked about it, you know, I sent you my resume. Why didn’t you give me a call? Will you, you weren’t qualified for it. If you got back to everyone who submitted their application, um, that would be all I did all that. It would, it really would be. Now, I mean, having systems set up to say we received your application will be reviewing it. We’ll get back in touch with you that that is something that’s very important. But we’ve ripped on fortune 500 companies. I don’t want it to come across that way because we get it too. We struggled with it too. We have the same struggles over here. We’re not perfect either. Um, but we’re always learning. I wanted to, um, talk about eight companies that got a top rating on here that I thought were really interesting. Um, express scripts holdings had a 90 to a company called PVH. Uh, got a 90% rating. Hershey did very well at 84 cognizant technology solutions. Blackrock, Microsoft is in there, Abbott laboratories and toll brothers. They had the top spots. And so if that is something that you’re interested in, um, for us, we’re going to go and take a look at their application process and see if there’s anything that we can learn from them. But if we can help you out with your job search, we would really love to do that. And I really wanna encourage you to, to listen to our next podcast. We wanted to tee this up and talk about seven ways to get hard at a fortune 500 company. I think that’s going to help someone else here. And um, but you can go to our website, you can check out what we have available there that we have a lot of content including this podcast under our career center. And you can, uh, you can apply for a job and see everything that we have available. But also please, uh, you can also give us a call at nine 186-222-FIVE, eight eight and go to our website, Trinity employment.com.